The 2010 regular session of the Connecticut General Assembly is down to crunch time as I write this. The regular session must adjourn no later than midnight on May 5, so it may be history by the time you are reading this. The General Assembly can, and probably will, call itself back into a special session, but the special session can consider only those matters included in the call for the special session. There are enough bills on the Senate and House calendars that many of them are going to die when the regular session adjourns simply because there was not enough time to bring them to the floor for debate and a vote. This happens every year, so all the lobbyists and special interest groups, including the Grange, are lobbying to get the bills that are important to them onto the floor for action. While the Grange is supporting several bills, there are two bills in particular that we are trying to get on the floor. House bill 5419 will create a program to train people who want to get into farming, similar to a 4H or FFA program for adults. The bill will also allow farmers to make pickles and salsa in their home kitchens for later sale at farmer's markets and farm stands provided all the ingredients were grown on the farm where the pickles and salsa were made. This bill will also allow poultry producers to take their birds off the farm to be butchered and dressed, then bring them back to the farm for retail sale. The other bill we are following closely is House bill 5446, generally referred to as the Mass Gatherings Bill. Due to a change in the mass gatherings law made last year, any outdoor event that will attract more than 2,000 people and will last for twelve hours or more in a single day must get many permits from their local officials before the event takes place. Previously events that lasted less than 18 hours in any one day were exempt from this law. The changes made last year make most of the larger fairs subject to the law. House bill 5446 will make technical changes in the law so it will not unreasonably burden the fairs that already have good working relationships with their local officials. We are also watching what the General Assembly may do regarding the State budget. A bill has passed the Senate that will make adjustments in the budget for the 2009 fiscal year which ends June 30, 2010, but changes are still needed for the 2011 fiscal year which begins July 1, 2010. Several proposals have been made to transfer money from the Community Investment Act fund into the general fund, which the Grange opposes. The Community Investment Act funds come from a surcharge on all deeds, mortgages and other documents recorded in the local land records and are used for farmland preservation, open space preservation, historical preservation and affordable housing. We have successfully stopped all the attempts to tap the Community Investment Act funds so far, but there is always the next round of budget talks. Both major political parties in Connecticut will be holding conventions soon to nominate candidates for various state offices. Four of the six top state officials are not seeking reelection to their present positions and Senator Dodd has announced that he will not seek reelection to the United States Senate. As a result, there are several people from each party who have announced plans to run for these open positions. Both parties will choose one person to run for each office at their conventions, but it is very likely that at least some of the people who are not chosen will get enough votes at their party's convention to force a state wide primary if they choose to do so. In previous columns I have pointed out that it is permissible for a Grange to hold a public meeting where all the candidates for a particular office are invited to participate. However, a party primary is an entirely different matter. The party is holding an election to determine who will be their candidate for the office in question. Although both parties may be holding primaries on the same day to each choose a candidate who will run against the other for a given office in November, the two primaries are completely separate partisan affairs. At all levels, the Grange cannot have anything to do with a political party's primary campaign or vote, just as we cannot allow a political party to use the Grange Hall as a campaign headquarters or stuff envelopes for a candidate at a Grange meeting. 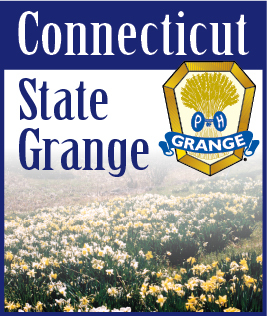 Individual Grange members may participate in their political party's nominating convention and primary elections at whatever level and in whatever capacity they choose, but the Grange as an organization must not be involved in any way in these partisan political activities.